It has been suggested that this article be merged into Dilip Sarkar . (Discuss) Proposed since March 2018. Badharghat is one of the 60 assembly constituencies of Tripura a Northeastern Indian state. Badharghat is also part of West Tripura Lok Sabha constituency.It is a reserved seat for the Scheduled Caste (SC). West Tripura is an administrative district in the state of Tripura in India. The district headquarters are located at Agartala. As of 2012 it is the most populous district of Tripura . While Tripura as a whole lies approximately between the north latitude 22 degrees 56' and 24 degrees 32' and between longitude 91 degrees 0' and 92 degrees 20' east, the West Tripura district lies approximately between latitude 23 degrees 16' to 24 degrees 14' north and longitude 91 degrees 09' east to 91 degrees 47' east. The West Tripura District is bounded by Bangladesh in the north and west by Khowai district in the east and by Sepahijala district in the south. Total area of the district before 2012 was 3544 km2 but with effect from 21 January 2012 four more new districts was divided making a total of 8 districts in the state and hence West Tripura contracted to 983.63 km2. The district headquarters is located at Agartala, which is also the capital of the State. The All India Trinamool Congress is a national level political party in India. Founded on 1 January 1998, the party is led by its founder Mamata Banerjee, who is the current chief minister of West Bengal. Following the 2014 general election, it is currently the fourth largest party in the Lok Sabha with 36 seats. The Communist Party of India (Marxist) is the largest communist party in India. The party emerged from a split from the Communist Party of India in 1964. The CPI(M) was formed at the Seventh Congress of the Communist Party of India held in Calcutta from 31 October to 7 November 1964. As of 2018, CPI(M) is leading the state government in Kerala and having elected members in 8 state legislative assemblies including Kerala, West Bengal, Tripura, Himachal Pradesh, Maharashtra, Odisha, Jammu & Kashmir, and Rajasthan. It also leads the West Bengal Left Front. As of 2016, CPI(M) claimed to have 1,048,678 members. The highest body of the party is the Politburo. Jharna Das is an Indian politician from the Communist Party of India (Marxist). She is a Member of the Parliament of India, representing Tripura in the Rajya Sabha. She was elected unopposed in March 2010. Das is a member of the Tripura State Committee of the CPI(M). Before being elected to parliament, she served as the chairperson of the State Social Welfare Board. Das is the first Dalit to be elected to the Rajya Sabha from Tripura, and the second woman representing the state in the Rajya Sabha. The All India Forward Bloc (AIFB) is a left-wing nationalist political party in India. 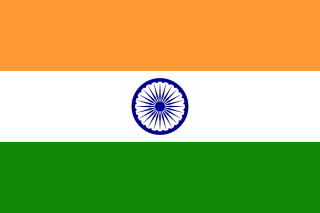 It emerged as a faction within the Indian National Congress in 1939, led by Subhas Chandra Bose. The party re-established as an independent political party after the independence of India. It has its main stronghold in West Bengal. The party's current Secretary-General is Debabrata Biswas. Veteran Indian politicians Sarat Chandra Bose and Chitta Basu had been the stalwarts of the party in independent India. The Indigenous Nationalist Party of Twipra is a political party in the Indian state of Tripura. INPT is led by Bijoy Kumar Hrangkhawl. Krishnaganj is an assembly constituency in Nadia district in the Indian state of West Bengal. The seat is reserved for scheduled castes. Hanskhali ceases to exist from 2011. 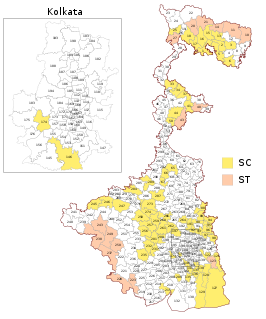 Rashbehari is an assembly constituency in Kolkata in the Indian state of West Bengal. The politics of Tripura, a state in Northeast India, has been dominated by the Communist Party of India (Marxist), the Indian National Congress and the Bharatiya Janata Party. As of 2019, the Bharatiya Janata Party (BJP) is the ruling party in the states's legislative assembly, while the Communist Party of India (Marxist) candidates won the two parliamentary constituencies in 2014 Indian general election. Sudip Roy Barman is an Indian politician from Tripura. He member of Bharatiya Janata Party since 2017. He is the current MLA of Agartala constituency which he has held since 1998 by winning in four elections consecutively by handsome margins. He completed his BE degree from NIT Agartala(Mechanical Engineering ). A Legislative Assembly election was held in 2016 for the 294 seats of the Vidhan Sabha in the state of West Bengal in India.The All India Trinamool Congress under Mamata Banerjee won 211 seats, and thus was reelected with an enhanced majority. Like in the 2011 election, the poll was held in six phases. The first phase was held in Naxalite-Maoist affected Red corridor areas with two polling dates: April 4 and April 11. The other phases were held on April 17, 21, 25, 30 and May 5. The result of the election was declared on May 19. Asish Chakraborty, also known as Nanti da, is an Indian politician from Paschim Medinipur, West Bengal, India. Diba Chandra Hrangkhawl is a politician from Tripura, India. In 2013 assembly elections, he represent 56-Karamchara constituency in Unakoti district in Tripura Legislative Assembly. Major general Pranjit Singha Roy is a politician from Tripura, India. In 2013 assembly elections, he represents Radhakishorepur constituency in Gomati district in Tripura Legislative Assembly. Ashish Kumar Saha is a politician from Tripura, India. In 2013 assembly elections, he represent Town Bardowali constituency in West Tripura in Tripura Legislative Assembly. Neyyattinkara taluk is part of Trivandrum except kattakada assembly constituency which is part of Attingal. Prakash Chandra Das is a politician of Indian National Congress from the state of Tripura, India. He is a former Minister in the INC-TUJS coalition government that governed the state of Tripura between 1988-1993. He contested as an Indian National Congress candidate from the Bamutia(SC) constituency six times consecutively from 1988 to 2013 winning thrice, in 1988, 1998 and 2003. He also contested as an AITC candidate from 4-Barjala assembly constituency by-election held on 19 November 2016 where he lost to the ruling party. He was the Chairman of Tripura Pradesh Congress Committee SC Department from 2004 till he resigned from his post and joined All India Trinamool Congress in June, 2016 and was appointed Vice-President of the Tripura state unit of All India Trinamool Congress. He joined Bharatiya Janata Party on 24 April 2017 due to negligience on the part of trinamool central leaders. He rejoined Indian National Congress in March 2019. He was the Chairman of Public Accounts Committee, Tripura Legislative Assembly from 2001 to 2008. He also was the Chief Whip of CLP in the Tripura Legislative Assembly from 1998-2003. A Legislative Assembly election was held on 18 February 2018 in 59 out of 60 constituencies of the Legislative Assembly of Tripura. The counting of votes took place on 3 March 2018. BJP won and formed the government. Anil Sarkar was an Indian politician and member of the Communist Party of India (Marxist). He was a nine-term member of the Tripura Legislative Assembly representing the Pratapgarh assembly constituency. Arjun Singh is an Indian politician from the state of West Bengal. He was former Trinamool Congress leader and and current Bharatiya Janta Party Leader & Lok Sabha Candidate From Barrackpore for 2019 Indian general election.He left Trinamool Congress on 14 March 2019, after ideological differences with TMC party. He is a popular personality among Hindi speaking community in West Bengal. He is a four term member of West Bengal Legislative Assembly from Bhatpara constituency on Trinamool Congress ticket. ↑ "Assembly Since 1963" (PDF). p. 50.